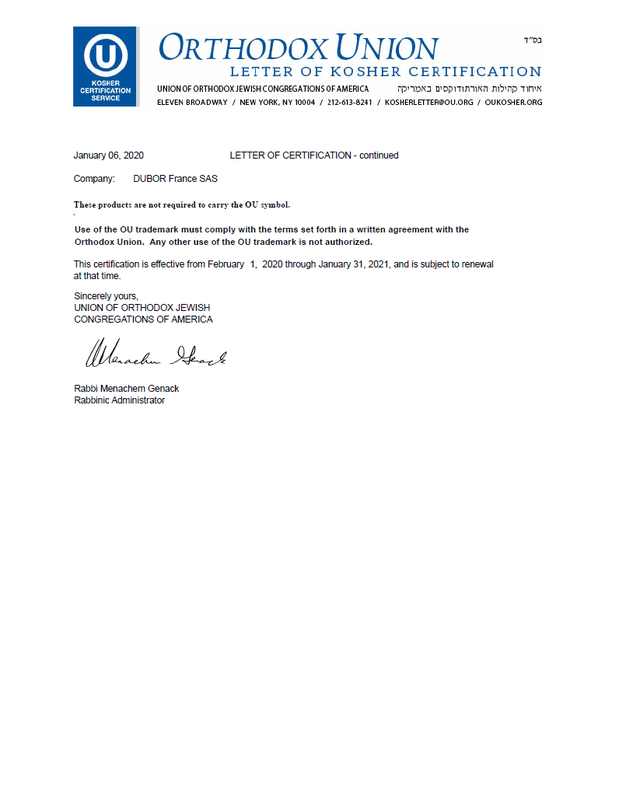 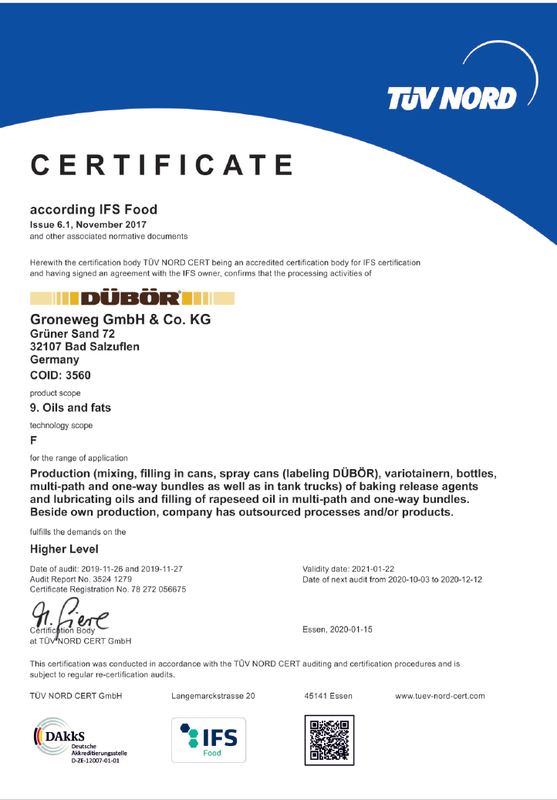 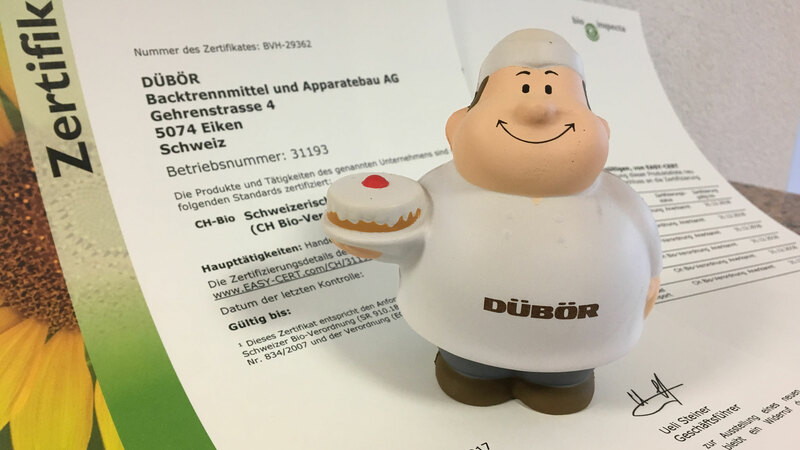 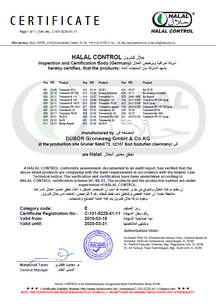 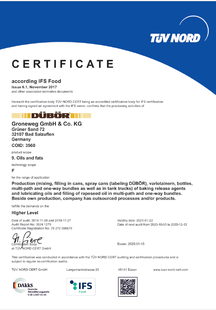 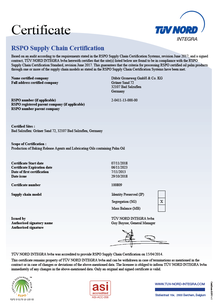 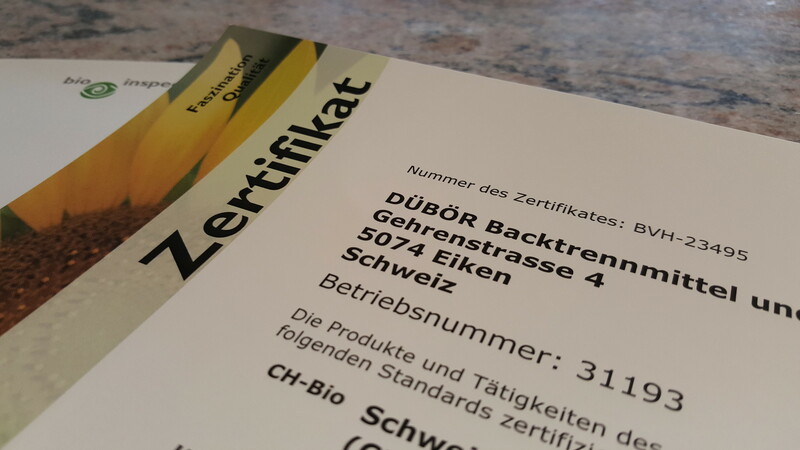 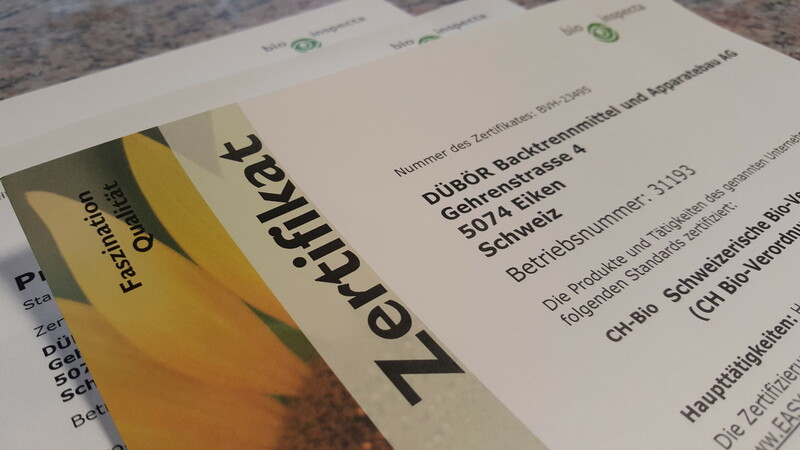 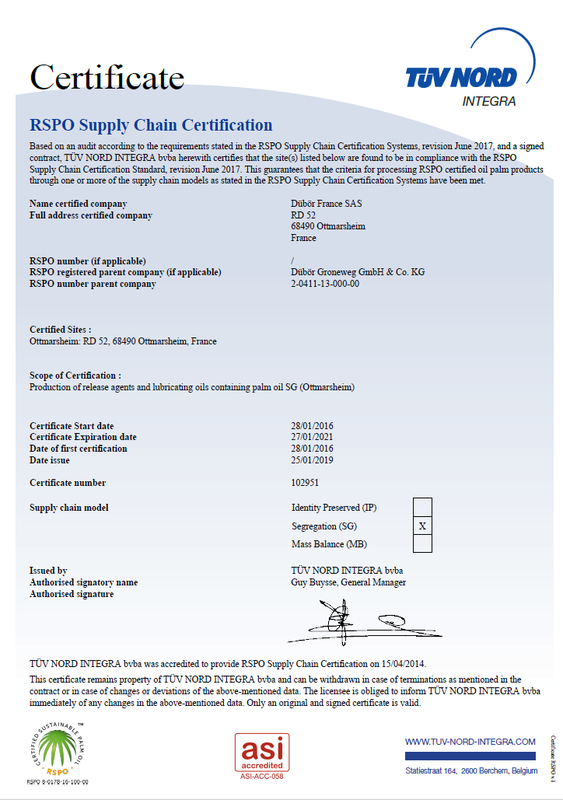 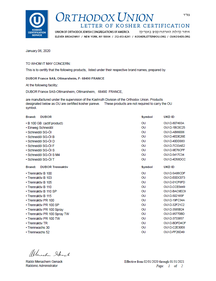 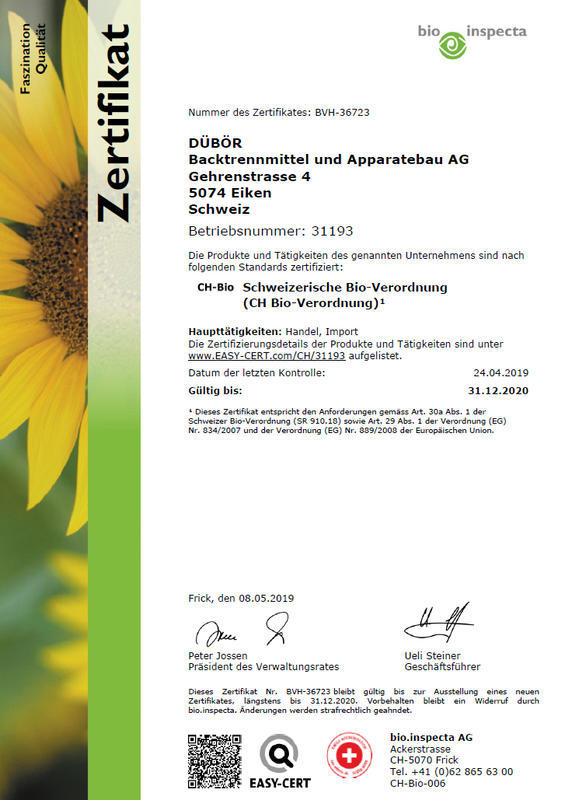 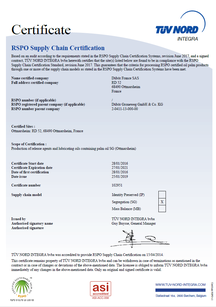 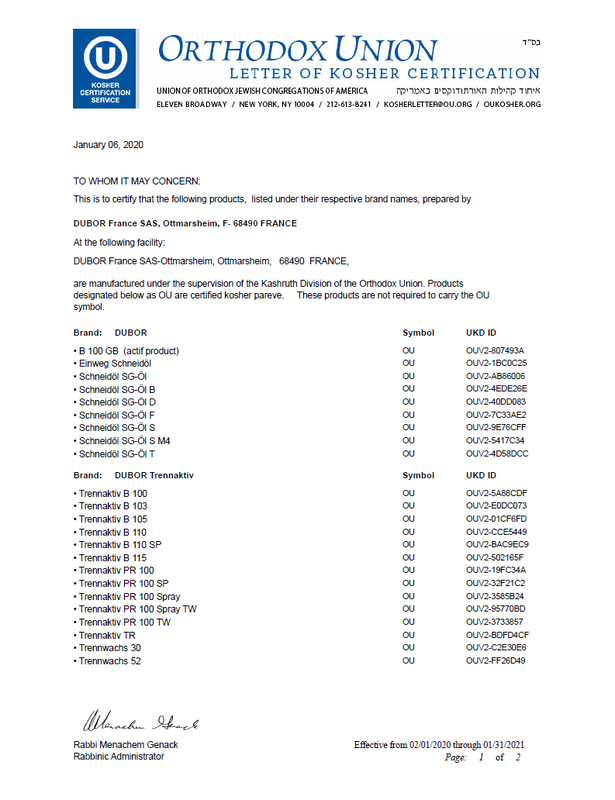 Since 2016 DÜBÖR is additionally ISO 22000 / FSSC 22000 certified. 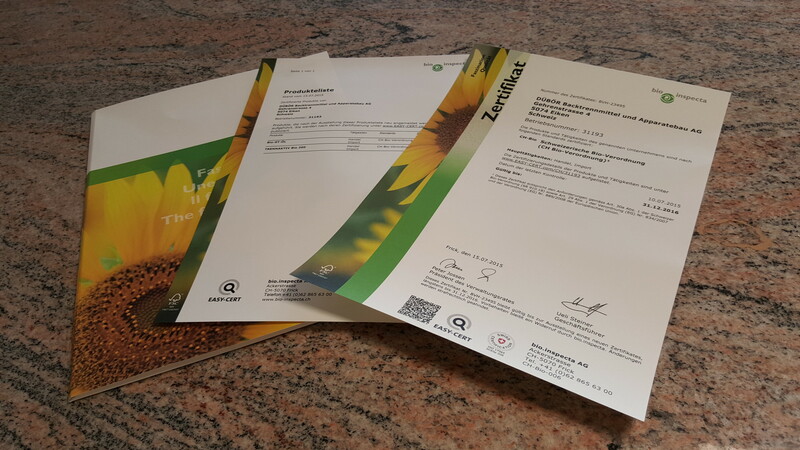 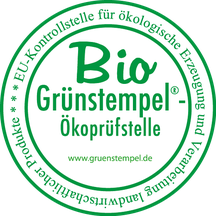 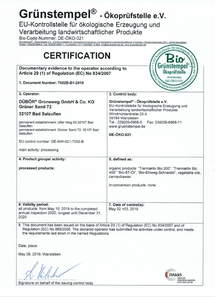 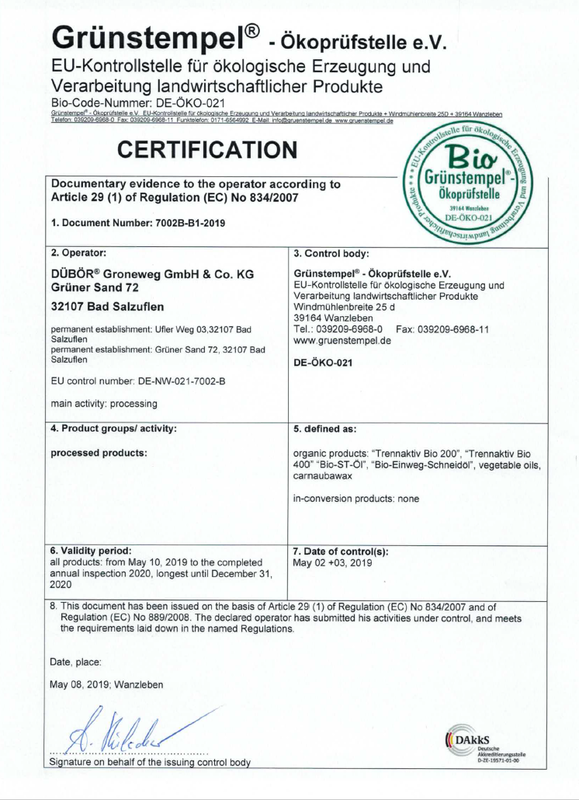 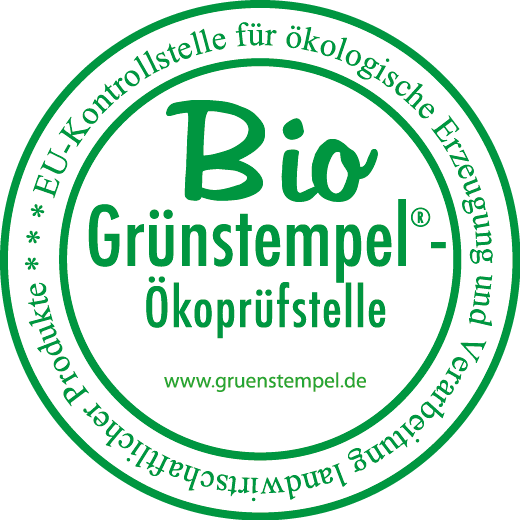 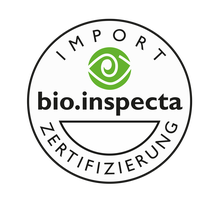 Organic Products - Certificate "Grünstempel"
The branches agricultural output, aquaculture and beekeeping are a very important part of the organic agriculture. 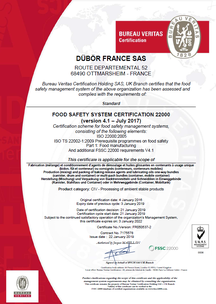 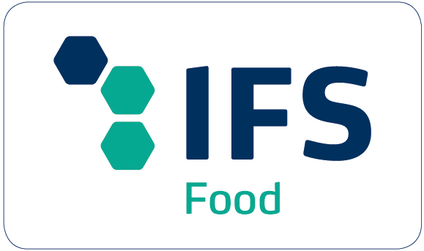 The International Food Standard was defined in 2003 by European food representatives and serves to control and certify the production process, safety, quality and legality of products. 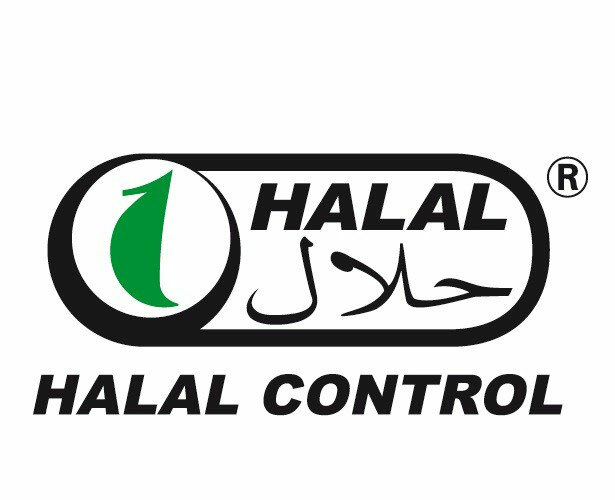 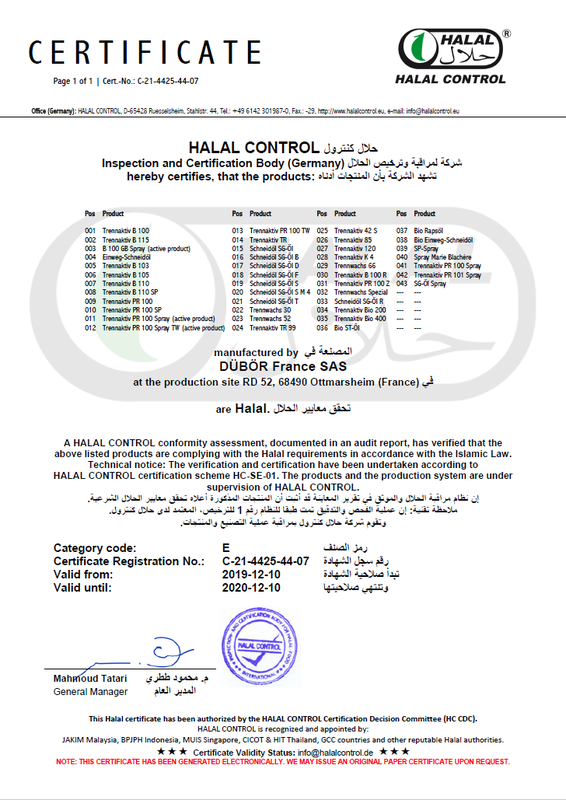 In Muslim countries it is required that nutrition is conform to the religious rules Halal. 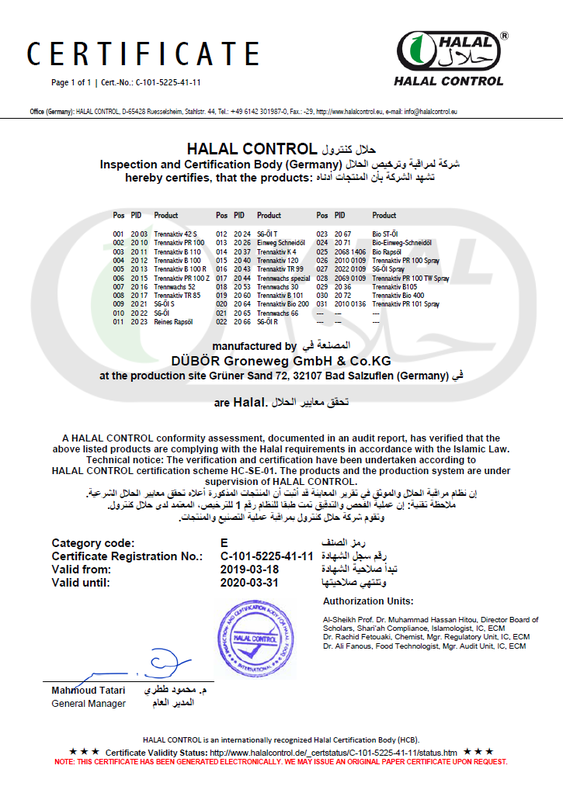 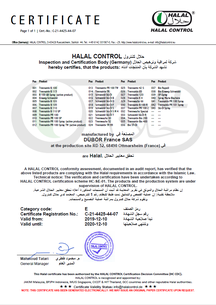 With this certificate the producer of nutrition assures to the customer that the food has been produced according to the religious rules of nutrition which means that it is halal. 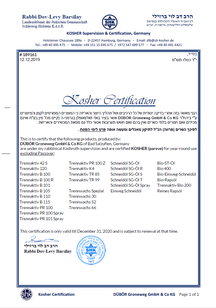 In the ritual Jewish kitchen it is allowed to use only nutrition which is Kosher certified. 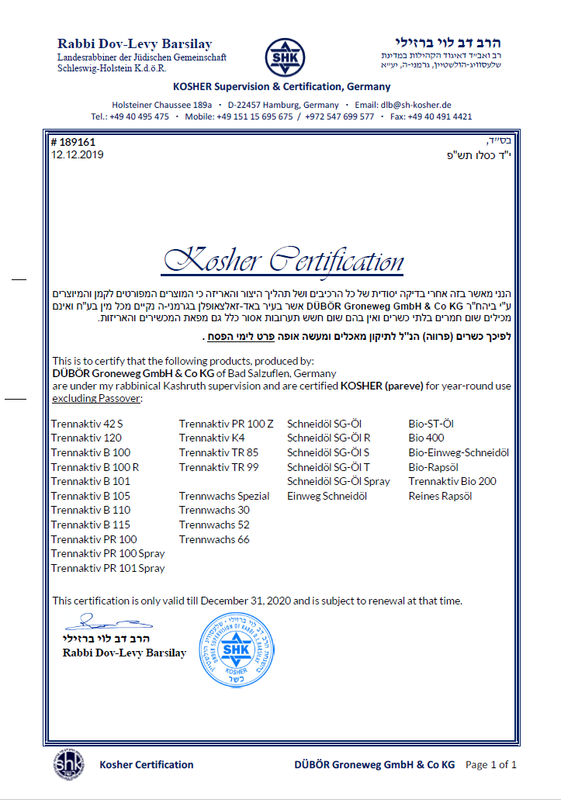 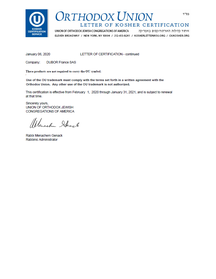 In order to receive a Kosher Certificate, all ingredients have to be conform to biblical hygienic rules (according to Halakhic rules which means according to religious law). 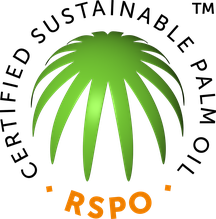 Since Juli 2013 DÜBÖR is a member of RSPO (Roundtable on Sustanaible Palm Oil). 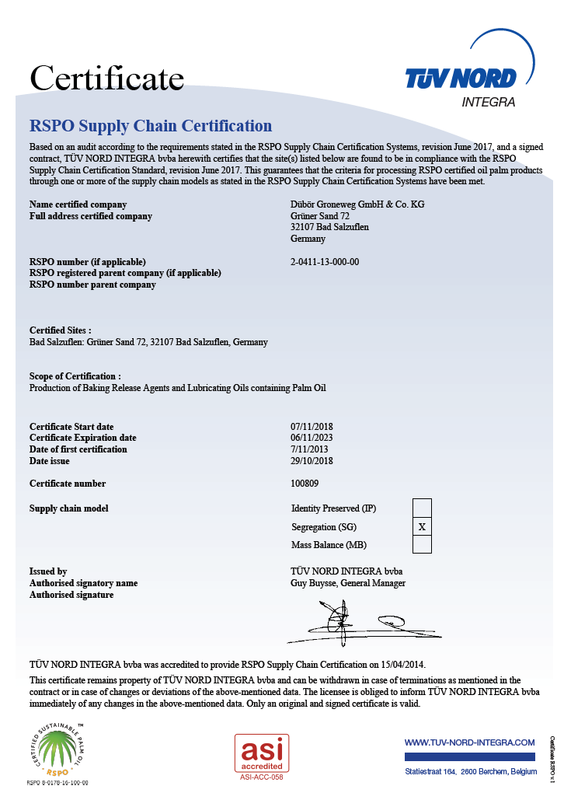 Since January 2015 we have been using only palm oil and palm oil products as per RSPO segregated. 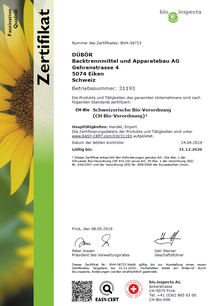 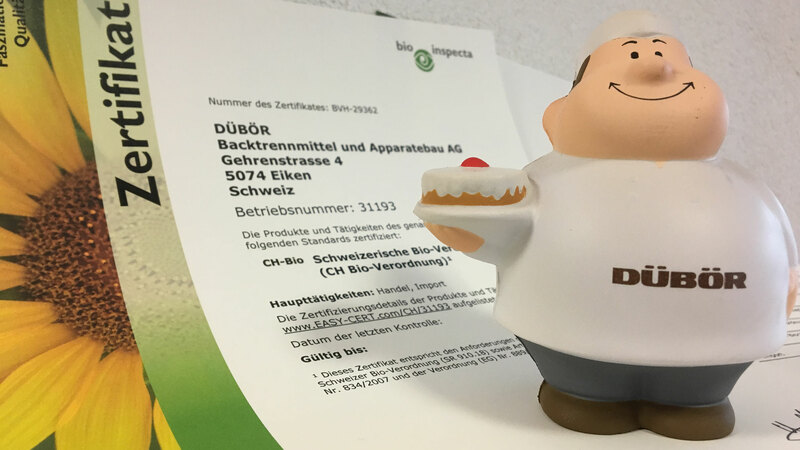 DÜBÖR adhere to the Business Social Compliance Initiative – BSCI.